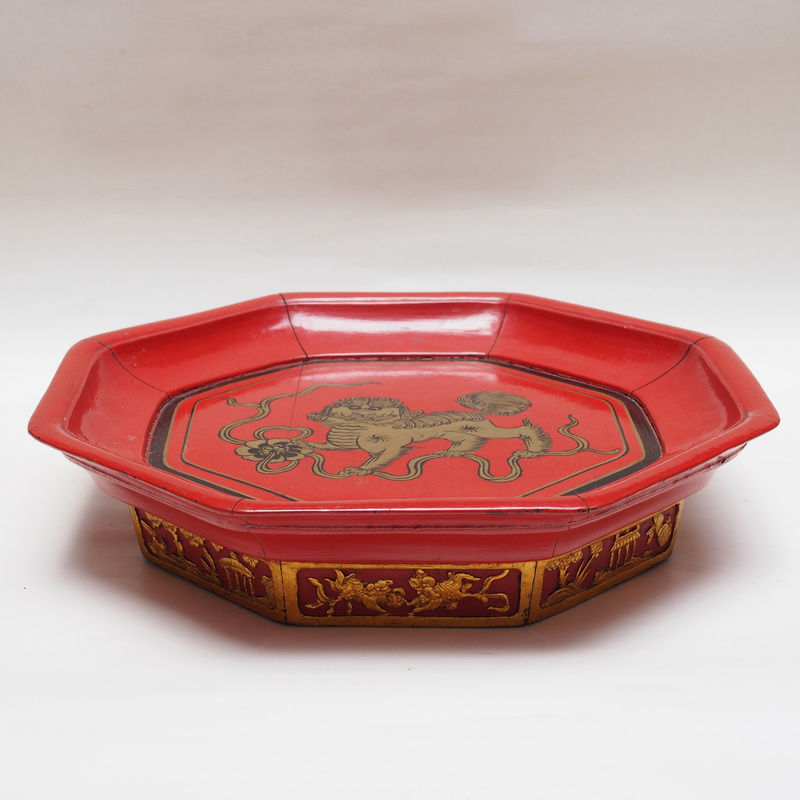 A lacquer tray of a lion playing with a xiu qiu (a fabric ball), a symbol of blessing from this mythical powerful creature. The tray is constructed by 8 sections and a flat octagonal size board in the center, held with a wire. The base of the 8 sections have fine carving painted in gold. 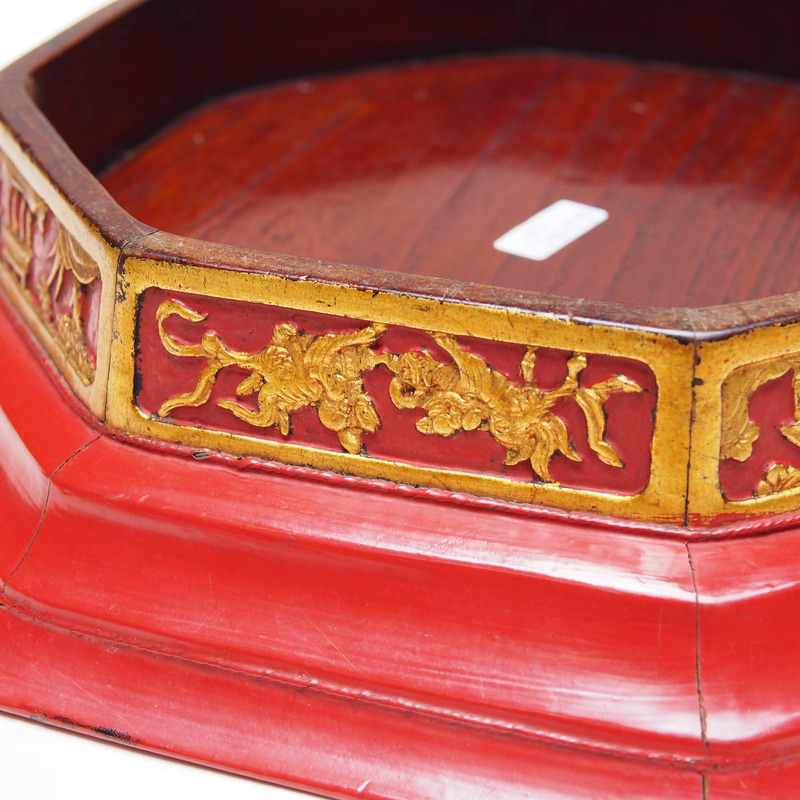 Click here to see our other lacquer trays.